Gives your recipent an element of surprise! A clever and easy to use template giving your projects the element of suprise. 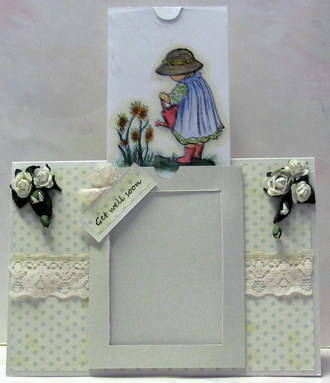 Use the four shaped corners provided on the template to make apertures for other cards. Making this template very versatile. 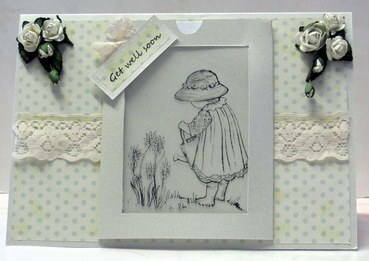 Ideal to use with rubber stamps or digital images. Photographic & full written instructions. Made from good quality polypropylene. 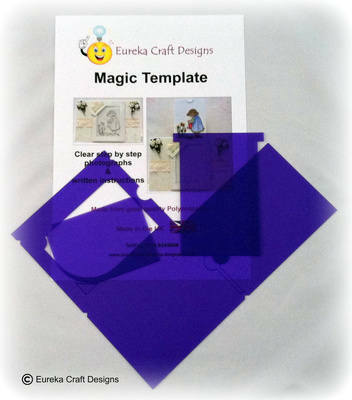 A magical way to use your creativity and amaze your recipients and this case cheer them up.